Vending machines on location will allow your employees, customers, and guests to grab a quick snack, a refreshing drink or even a full meal without ever leaving the premises. This added benefit will help them to actually enjoy their break time without the frustration of rushing around, and would help reduce the number of late returns. 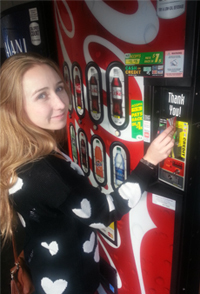 Dynamic Vending offers a variety of machine choices, beverage, snack, fresh/frozen food and coffee machines. We stock our machines with a wide variety of name brand products. We are always open to suggestions, if there is something you haven’t seen in your machine, but would like, feel free to call our office. We also have an in house commissary that makes fresh foods (salads, wraps, subs, desserts and entrees) daily. Our healthy selections are unmatched by any other vending company. Whether you are looking for a low fat or reduced calorie snack, or healthy drink we are confident that you will find something to your liking. 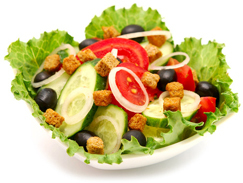 We have something for everyone with our wide variety of healthy selections. Call us at (314) 895-1685, or send us an email at info@dynamicvending.com to discuss a custom vending solution today.